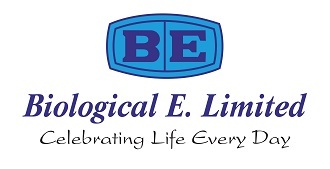 Biological E Ltd is a reputed company from India, engaged in Pharmaceuticals and Vaccine business. The Pharma Injectable facility is approved by USFDA & WHO GMP and Vaccines facility is approved by WHO Geneva prequalification. Our products are exported to many countries in Asian, African and Latam countries. Biological E. Limited, established in 1953, is a globally focused largest manufacturer of Human vaccines, Pharmaceuticals and APIs. All products are manufactured in cGMP compliant world-class facility and Biological E has received WHO prequalification for Tetanus, Pentavalent vaccine (DTPHepBHib), JE, DTP and Td vaccines. APIs comprise of Noscapine (Alkaloids) & Enoxaparin Sodium. Pharmaceutical Formulations comprise of Heparin injection, Enoxaparin injection, Lipopeptide antibiotic, Anti Psychotic and Anticholinergics injections.